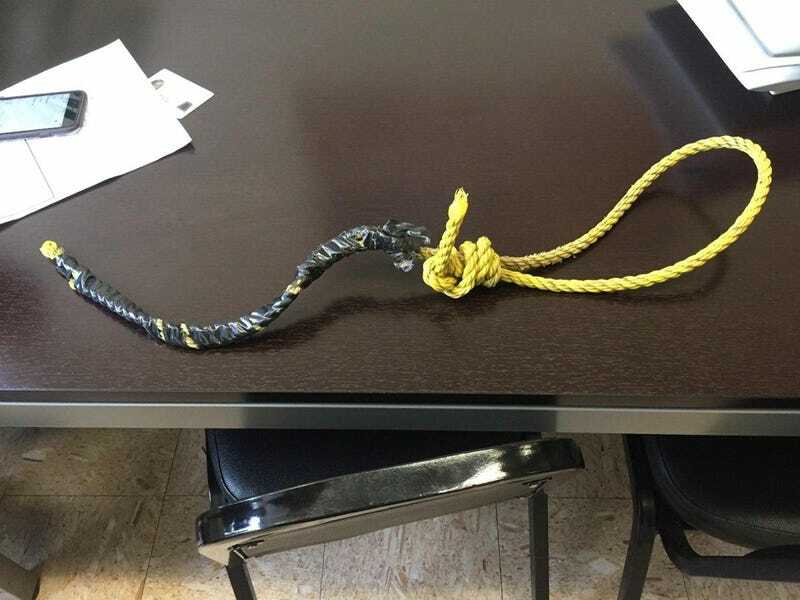 A well-known New York butcher is being investigated for a hate crime after he was accused of giving a noose to a black deliveryman along with a hateful message, according to police sources. Sheppard told the Daily News that he froze when Ottomanelli presented the noose to him as a “gift” Tuesday morning. Sheppard went to the 6th Precinct police stationhouse and filed a report immediately, the Daily News reports. An investigation into the incident has been launched by the Hate Crimes Task Force. Ottomanelli, 58, told the Daily News on Thursday that he has no beef (heh) with Sheppard and that the whole thing was a joke. “We were just fooling around,” Ottomanelli said, and added that he never thought that what he considered a joke would be taken as a racial attack. Ottomanelli told the Daily News that he wanted to apologize to Sheppard and give him a hug, but Sheppard was cool on that idea. Sheppard, who has been delivering meat to the butcher shop for the past eight months, said that Ottomanelli has made racially insensitive comments before, but Sheppard had just brushed them off. “He once said, ‘Did you know that just a few years ago, black people couldn’t ride in the front of the bus?’” Sheppard said. Ottomanelli worker Paul Durando said Sheppard didn’t seem offended when he left the store that day. Other staffers also defended Ottomanelli and pointed to a black man who’s worked there for 13 years as a sign the establishment is not racist. Sheppard told the Daily News that he will never deliver to the butcher shop again.